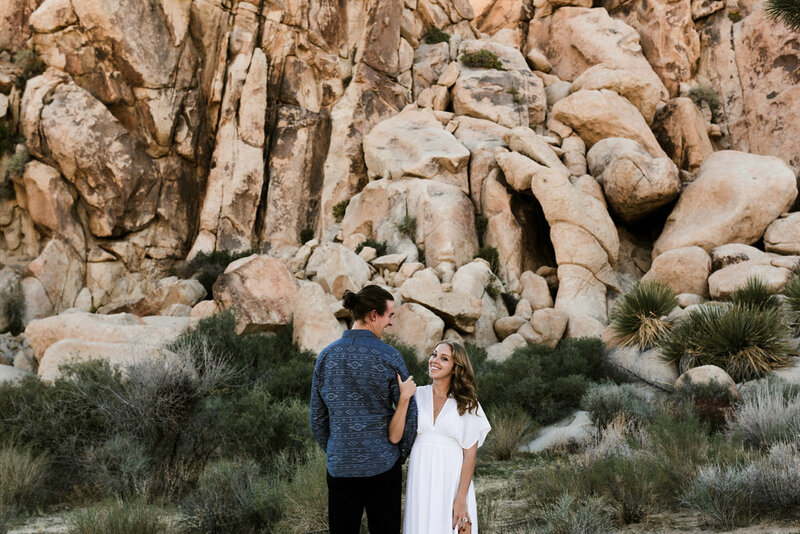 Meeting with Alex and Jen in Joshua Tree was like going on a adventure with old best friends. They are so natural and playful together, not to mention, we all share the same taste in music and beer! These two are going on a decade of love, have traveled the world together, and recently made a big move from Michigan to San Diego where Jen is finishing up her medical residency. We immediately bonded over travel stories, music festivals, and the life of being a California transplant. Alex and Jen knew they wanted a fun and adventurous backdrop to shoot their engagement photos. 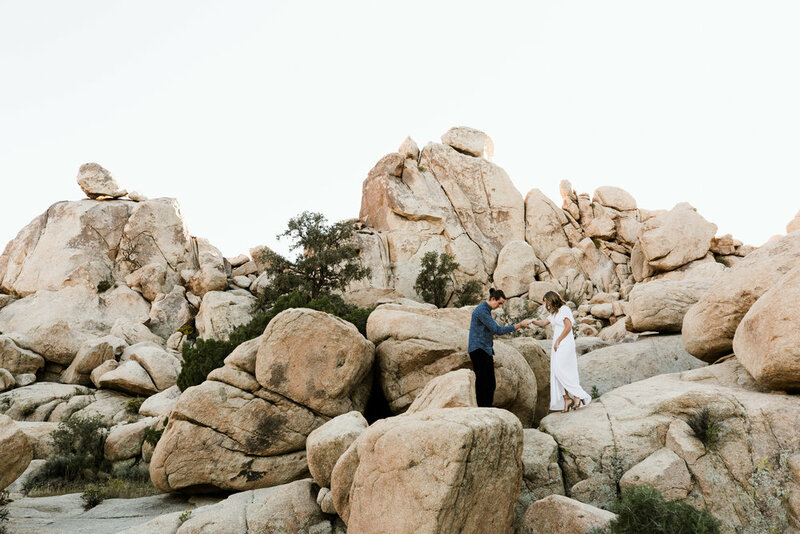 After lots of discussion, we all decided on Joshua Tree with its sprawling rock formations and Dr. Seuss-like tree’s. 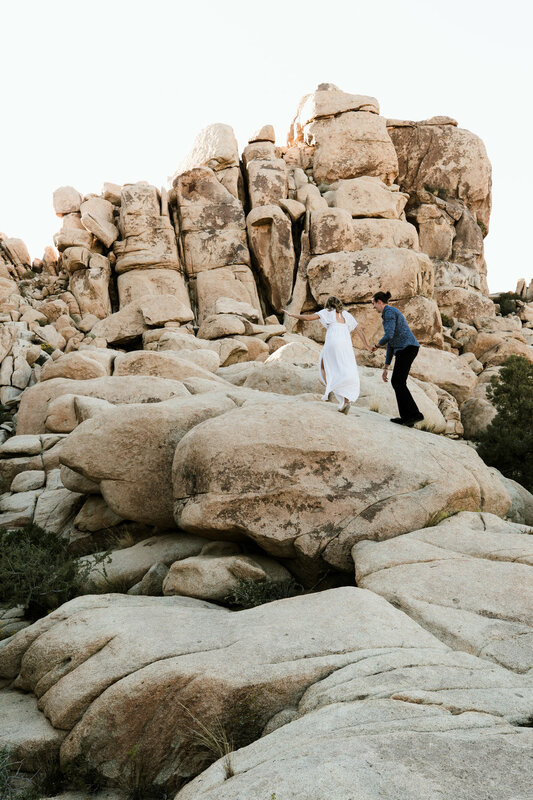 Music is a huge part of their love story, so we about died when they brought their rad disco ball to cap off a magical evening in the desert. We CANNOT wait for their Detroit wedding next August!